Jordan Ingram reporting for FishDuck.com from Hatfield-Dowlin Complex in Eugene, Ore. The Oregon Ducks are midway through spring practices and just a few weeks away from their 2015 Spring Game on May 2nd. This morning, Oregon Head Coach Mark Helfrich provided FishDuck.com with a spring practice progress report on Jeff Lockie, Royce Freeman, and playing more physical football. FishDuck.com writer Ashley Young interviewing Tyler Johnstone after Mondays spring practice. 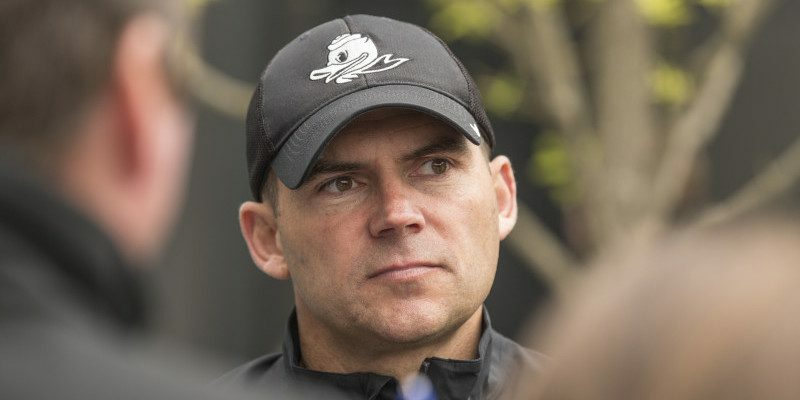 Since the first day of spring practice, Helfrich has emphasized his desire for his team to shake off the cobwebs from the offseason and play more physical football. As the new guys learn the system and veterans shift to leadership roles, playing at a high physical level will continue to be a work in progress. For the Oregon coaches, the expectations of their players are clear: play hard and stay positive. It’s a winning philosophy that’s proven itself since Helfrich became head coach in 2013. The next challenge for the Ducks is to get everyone to believe in their abilities as individuals and as a team. If there were an award for Most Valuable Player in spring training, it’s a sure bet sophomore Royce Freeman would be at the top of the list. Helfrich can’t say enough about the powerful young running back who already has Heisman Trophy buzz after his breakout true freshman performance. Royce Freeman is pretty good, news flash. That guy just does everything right. I kind of challenged him the other day that he needs to become more vocal. He’s kind of in the long line of Marcus and Hroniss, of guys that are just unbelievably great guys but too quiet for the overall greater good. Just initiating a little more vocal leadership is something we’ve challenged him to do. So, who’s who in the quarterback race? 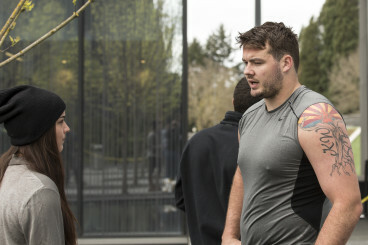 Well, it shouldn’t come as a surprise that junior Jeff Lockie is making the transition from backup to starter. With Vernon Adams out of the equation until Fall, Lockie keeps moving forward, continuing to build trust with his teammates and coaches. Heisman TrophyJeff LockieOregon Ducks Spring GameOregon Ducks Spring PracticeOregon Football 2015Oregon Head Coach Mark HelfrichRoyce FreemanVernon Adams Jr.